Up to 28 days of smoothness. Leaves skin moisturized. Sensitive formula. 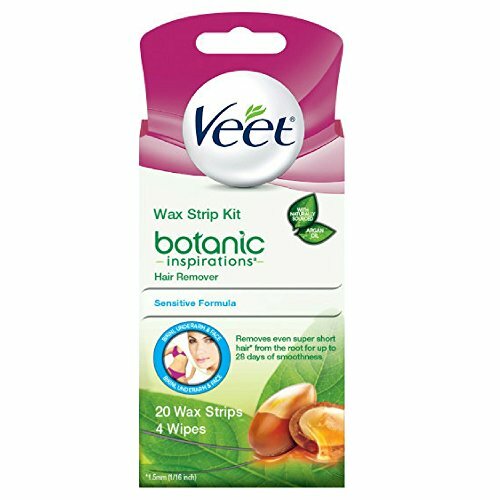 These Veet Ready-to-Use Wax Strips are ideal for removing unwanted hair on the leg and body closer to the root*. Veet has specially formulated these wax strips to act like a liquid during applications, coating different lengths of hair, even those as short as 1.5 mm. The salon-like wax strips provide a premium feel. Unlike shaving, there are no nicks or bumps, and the results last up to four weeks. The wax strips lock in hair to gently lift away at the root. You're left with smooth, silky skin that lasts for up to four weeks. Plus, hair tends to grow back softer and thinner after waxing. You don't need to heat up the wax strips, so they are especially easy to use. Simply rub a wax strip between your hands until it feels warm (about five seconds) and peel the strips apart. You can reuse each strip until it looses its grip. The kit also includes six Perfect Finish Wipes to clean away any remaining wax residue. Veet products allow you to achieve silky, smooth skin. Backed by over 80 years of experience, Veet is preferred by over 30 million women around the world every year. Their easy-to-use products include creams and waxes that fit into your busy, modern lifestyle. Veet continues to introduce new products to stay in tune with women's hair removal needs. Veet Fast-Acting Gel Cream removes hair gently and effectively, leaving your skin feeling smooth and moisturized. Formulated with Aloe Vera and Vitamin E, the dermatologist-tested cream comes in a pump bottle with a spatula for easy application and removal. The sensitive formula works quickly in five minutes, and hair takes up to twice as long to grow back when compared to shaving. The effective Veet Fast-Acting Gel Cream penetrates your skin to dissolve hair closer to the root than shaving. Depending on texture and length, it removes hair in as little as five minutes. There's no leftover razor stubble or a danger of nicks and bumps. The dermatologist-tested Veet Fast-Acting Gel Cream keeps skin smooth up to twice as long as shaving. Veet products allow you to achieve silky, smooth skin. Backed by over 80 years of experience, Veet is preferred by over 30 million women around the world every year. Their easy-to-use products include creams and waxes that fit into your busy, modern lifestyle. Veet continues to introduce new products to stay in tune with women's hair removal needs. 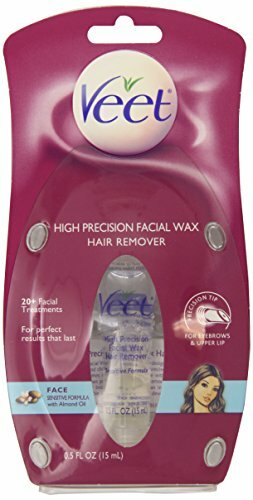 VEET FACE WAX STRIPS READY TO USE HAIR REMOVER SYSTEM REMOVES 95% OF HAIR AT 1ST APPLICATION... SENSITIVE FORMULA WITH SHEA BUTTER & ACAI BERRIES FRAGANCE...VEET WAX STRIPS WITH HAIR COATING TECHNOLOGY FOR PERFECT RESULTS THAT LAST. It's best kept secret of the girls. 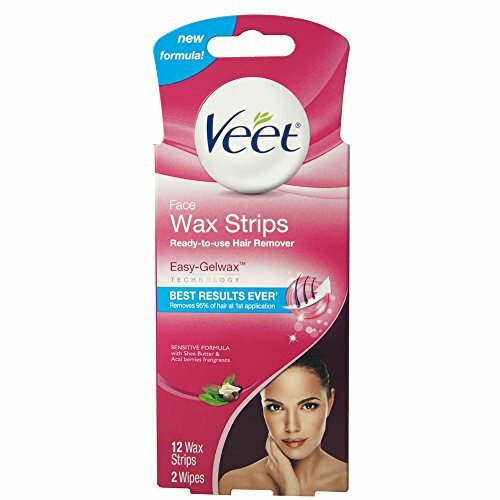 Now you can remove hair from the root with Veet cold wax strips for face. 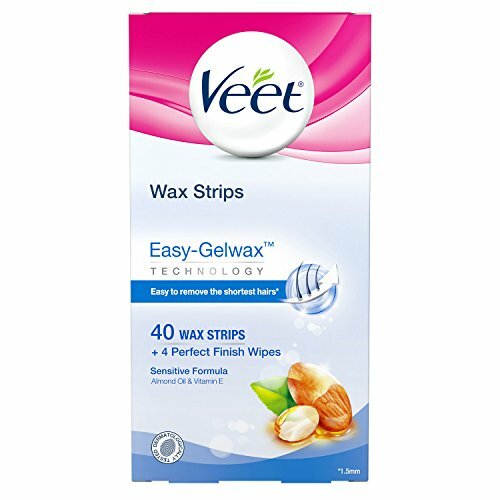 Veet introduces NEW wax strips with HairCoating Technology - the wax that's ready when you are. It is effective on short hair (2mm), so you don't need to wait for smooth skin. 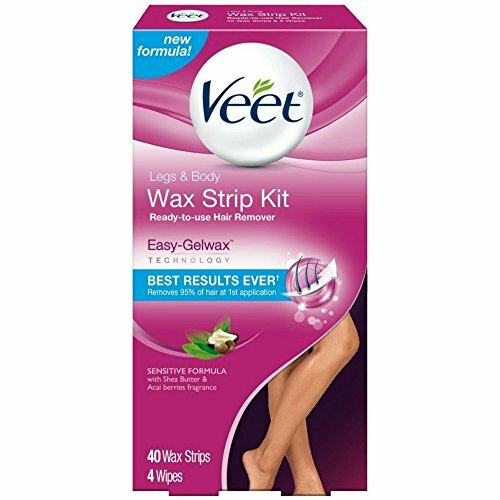 Veet has specially formulated these wax strips to act like a liquid during application , coating different lengths of hair, even those as short as 2mm long. When you remove the strip, the wax locks in the hair - for effective hair removal. Suitable for delicate body areas like the upper lip, chin, and eyebrow. The result is smoothness that lasts up to 4 Weeks! 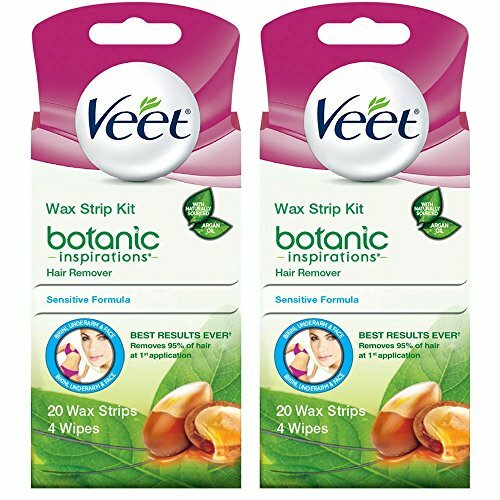 These Veet Ready-to-Use Wax Strips are ideal for removing unwanted hair on the leg and body closer to the root*. Veet has specially formulated these wax strips to act like a liquid during applications, coating different lengths of hair, even those as short as 1.5 mm. The salon-like wax strips provide a premium feel. Unlike shaving, there are no nicks or bumps, and the results last up to four weeks. The wax strips lock in hair to gently lift away at the root. You're left with smooth, silky skin that lasts for up to four weeks. You don't need to heat up the wax strips, so they are especially easy to use. Simply rub a wax strip between your hands until it feels warm (about five seconds) and peel the strips apart. You can reuse each strip until it looses its grip. The kit also includes six Perfect Finish Wipes to clean away any remaining wax residue. Veet products allow you to achieve silky, smooth skin. Backed by over 80 years of experience Veet products include creams and waxes that fit into your busy, modern lifestyle. Veet continues to introduce new products to stay in tune with women's hair removal needs. 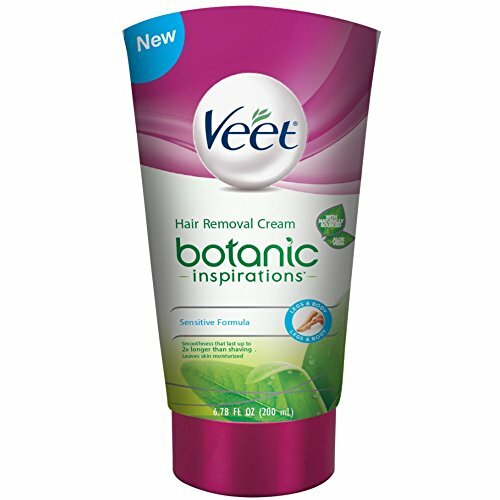 Compare prices on Veet Wax Hair Removal at ShoppinGent.com – use promo codes and coupons for best offers and deals. Start smart buying with ShoppinGent.com right now and choose your golden price on every purchase.